CarDAQ-Plus has many uses beyond the independent repair shop. The CarDAQ-Plus was designed to be a high performance development tool. an internal and optional external Compact Flash slot, and an internal web server for thin-client applications. In addition to acting as a laptop-to-vehicle PassThru device, it can also host diagnostic and data logging applications on-board. The CarDAQ-Plus has one internal and one optional external Compact Flash slot that can be used simultaneously. CarDAQ-Plus runs it's own operating system, embedded Linux, which allows it to be used as a standalone tool without a PC attached during operation. The Linux installation includes a file and web server which could simplify development of remote diagnostics and management applications. Imagine writing your own C/C++ application to perform an on-road test. Your program could access GPS compact flash card to capture location information about the test-drive, or use a cellular modem and download telemetry from live tests! 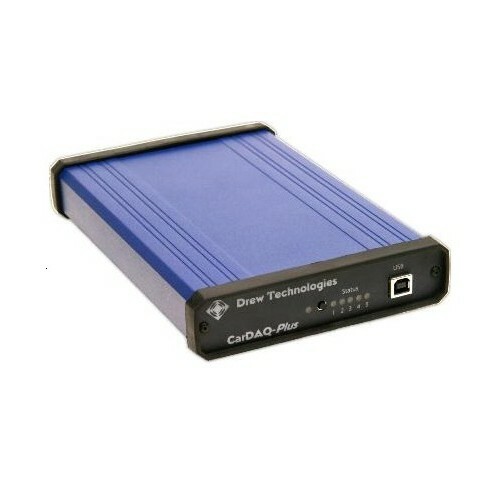 For standalone applications, this provides the features of a PC host and a PassThru device all in one package. 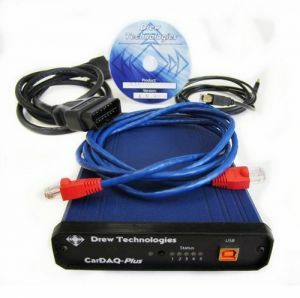 Drew Technologies provides an application programmer interface (DLL) for OEMs, integrators, or end-users to develop their own PassThru (SAE J2534) applications. You can use any PassThru (J2534) compliant application with the CarDAQ-Plus. You can also Create your own applications in LabVIEW?, C or Visual Basic. Use your favorite language, including: TCL, Perl, .Net, Java, or C.